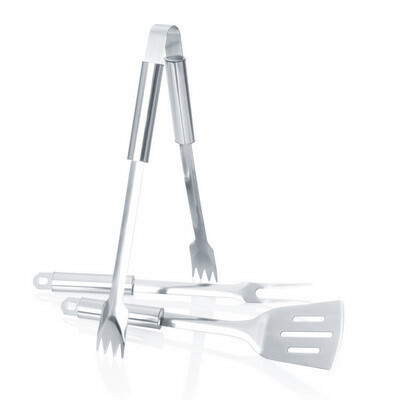 Description: This 3 Piece BBQ set featuring a sleek fork, spatula, and tongs is the perfect promotional gift for any outdoor event. Colours: Silver / Stainless Steel, Chrome. Materials: Stainless Steel. Decoration Method: Pad Print, Engrave.